Well we sure are glad you found the sisterhood! Hopefully you'll be back often to play along with us! Love your comic strip card! 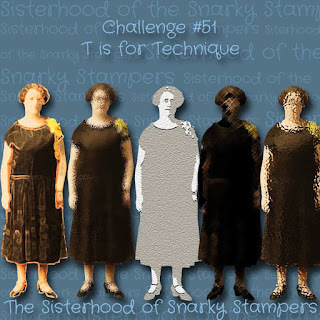 Thanks for joining the SISTERHOOD OF SNARKY STAMPERS for our "T is for Technique" challenge! LOVE these comic strip cards you have been making!! I just love your comic strip cards, Shirley, and your watercoloring is simply amazing! Oh Shirley! Brilliant dresses, colors, coloring! Wonderful, snarky or not! Love those sweet party dresses and the colors are so beautiful. I am liking this technique a lot! The way you've coloured the dress is gorgeous, too. Thanks for joining the fun at the Sisterhood of Snarky Stampers — so glad you've found us! Love this! Slice of fried gold! What a fun girly card! 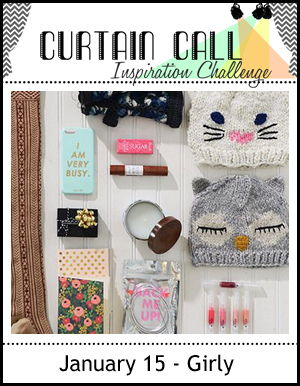 Thanks for joining us at the Curtain Call Inspiration Challenge! Another fabulous card with this set! I love it...definitely girly! Thanks for playing along! Beautiful card! I love the colors and the coloring is awesome! This comic strip stuff is fantastic and I especially love the coloring on this one. Love that comic strip card, your watercolouring is awesome. Thanks for joining the Sisterhood of Snarky Stampers for the T is for Technique challenge. super cute card, i really like this "comic strip" look, especially with the watercoloring. It's so light and fun. Thanks for playing along with the Sisterhood of Snarky Stampers for our "T" is for Technique challenge! Love the watercolored dresses! Very girly for sure! Thanks for playing along with us at the Curtain Call. 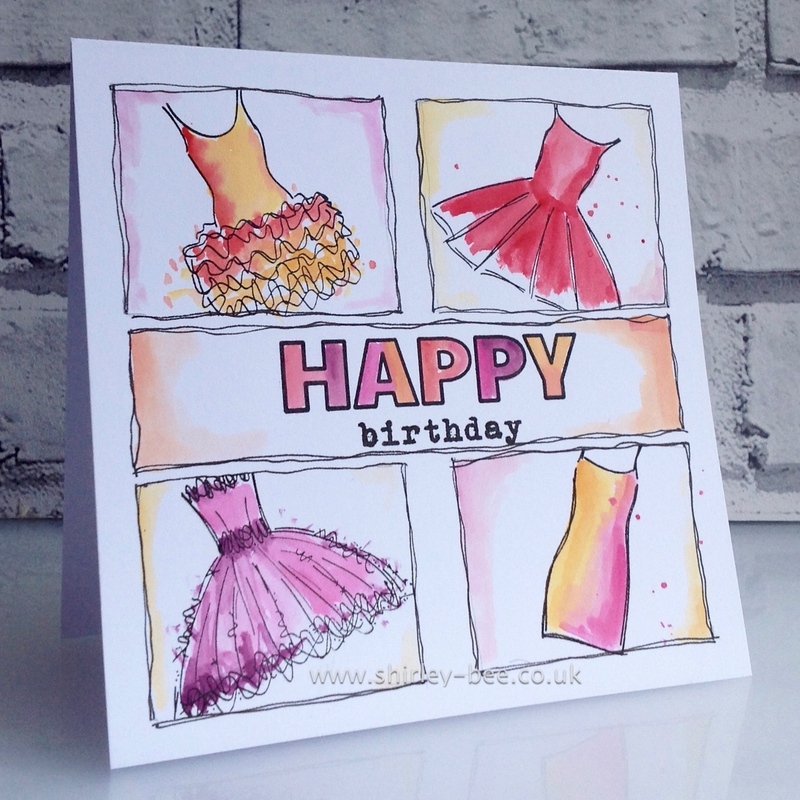 Love this card...such a fabulous idea!